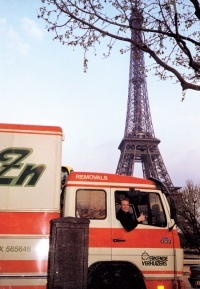 We rely on our own personnel and equipment to carry out removals within Europe. Van Buuren disposes of all permits necessary to carry out removal activities to and from all European countries. To increase the efficiency of the removal process, we work in close collaboration with local removal companies. EMG Group is an umbrella organization for all removal companies working together throughout Europe. These companies lend each other a hand loading and unloading cargo and transport (parts of) each other’s removal cargo to make sure all removal vans hit the road fully loaded. Our journey log gives an overview of the scheduled destinations. Thanks to the collaboration within the EMG Group and the combination of cargo, we’re able to offer a sharp rate.